And so it has been truly a blessing to return to Osaka, where I taught for 2 months between August and September last year. To be able to return, to reconnect, to witness how practices develop, how people change, how Mysore programs can grow is an amazing opportunity! After dinner, as everyone took their turn sharing a little about themselves and their yoga story, I was struck at how different we all were, how we came from varying fields of work, how we represented a broad range of ages–so like our practice, every person so unique in his/her posture, in his/her rhythm and breath, and yet so connected. You could tell that some students were discovering each other for the first time–however that bond of practice, the family-like ties that form when we meet in that space of openness and deep personal work, was already there. Half of the group, I’ve had the pleasure to teach before. The other half, well, we are still getting to know each other. Another blessing coming into this evolving Mysore program is seeing how the “veteran” practitioners inspire the newer students, who come into a room already charged with experience. Likewise, how the newbies are also inspiring the older practitioners with their enthusiasm and energy for learning the system. Ah! We are all blessed by the presence of each other. It’s going to be special two months! In fact, it already is! 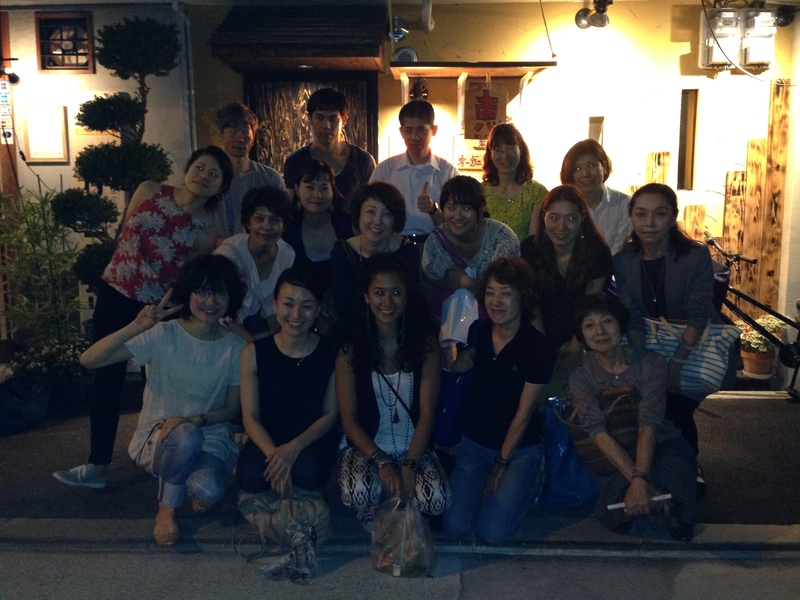 PHOTO: Welcome Party with Spirit Yoga Mysore was held at vegetarian restaurant Megumi Friday, July 4, 2014. Such a blessings!